Upgrades available at discounts. Please download rubiTrack 5 Pro to upgrade. rubiTrack – the most powerful way to track and improve performance for runners, cyclists, triathletes and enthusiasts in any sport. 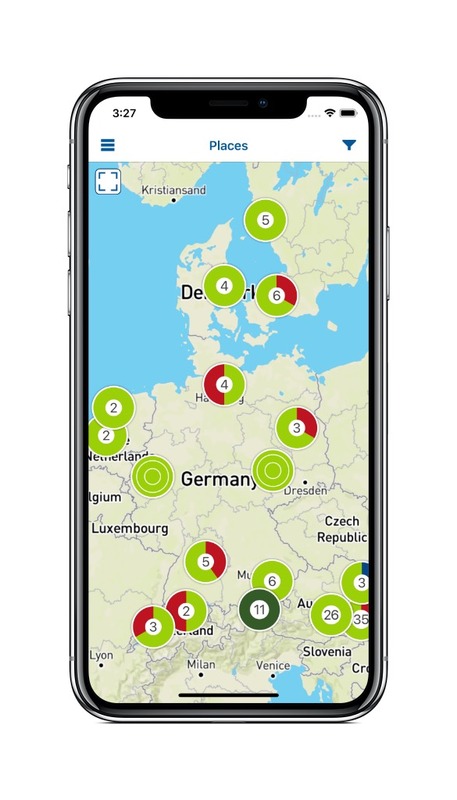 rubiTrack automatically adds location info, acquires weather data and instantly sorts, orders and filters even huge workout collections. 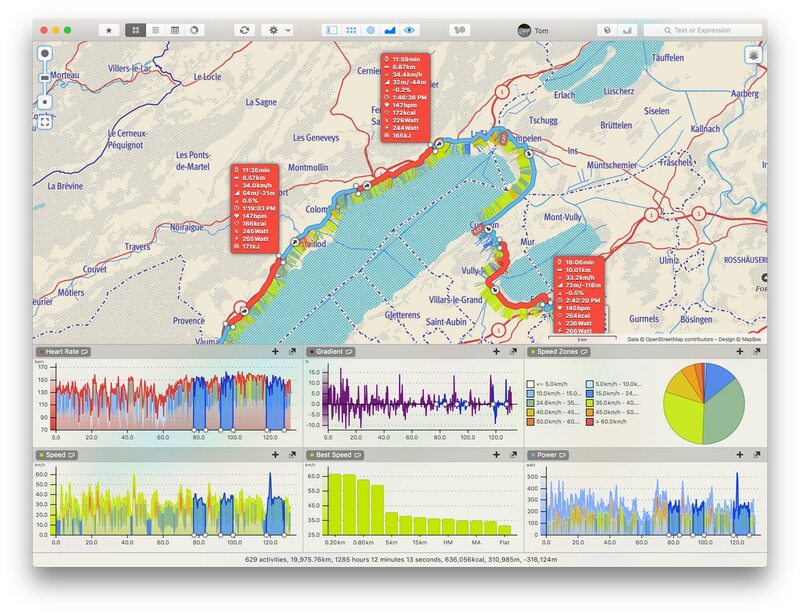 Analyze all your activities interactively on freely configurable maps and charts. 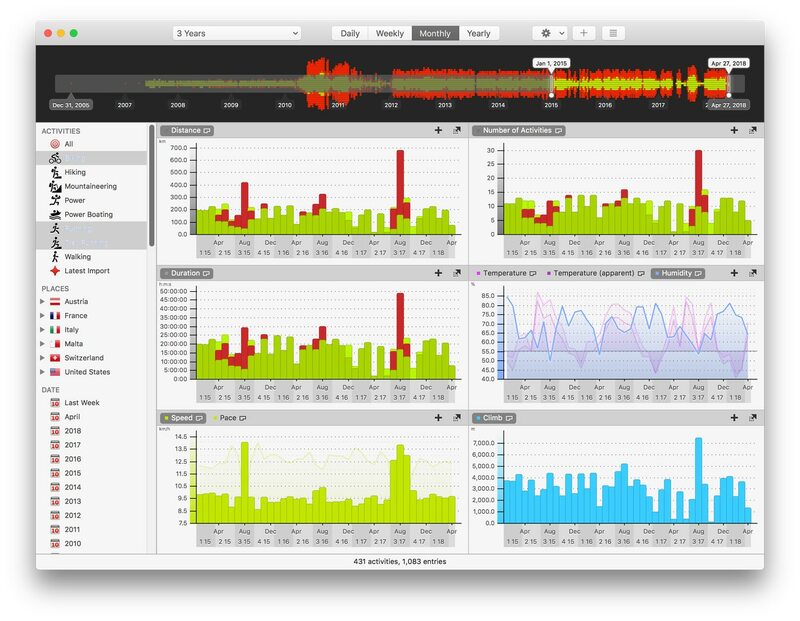 rubiTrack displays all available activity data accurately and stunningly beautiful. Define segments once – or download from Strava – and rubiTrack will pick them up in all your activities. Compare all efforts you ever made and instantly know when you're KOM. Visually compare multiple trainings session, use zones and bests to evaluate and highlight every step of your training effort. Add all the equipment you use and let rubiTrack keep track of equipment usage. rubiTrack lets you know when its time to replace something. 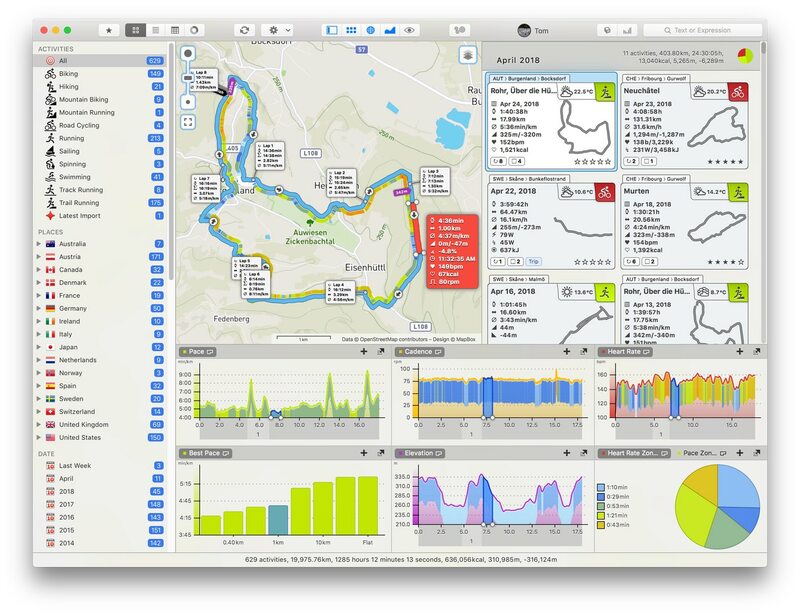 Monitor every aspect of your past training sessions and analyze your zone history, all in relation to environmental and athlete health data. 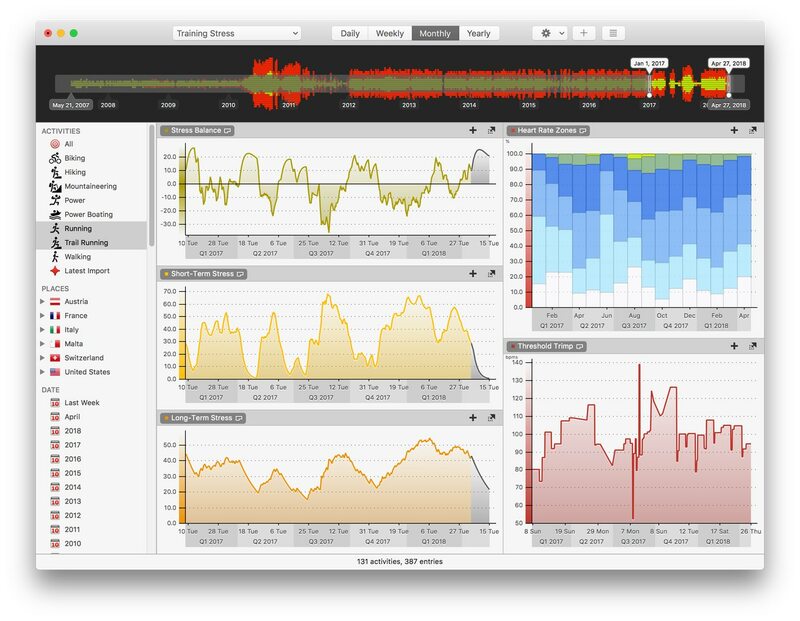 Monitor long-term and current training stress, know when to expect peak performance and look into the future using training stress forecasts. Use 1-click syncing or automatic syncing with rt2go and rubiTrack stores all activities directly on your Mac, no matter where your data comes from. This guarantees blazing fast performance, zero downtime and 100% privacy. 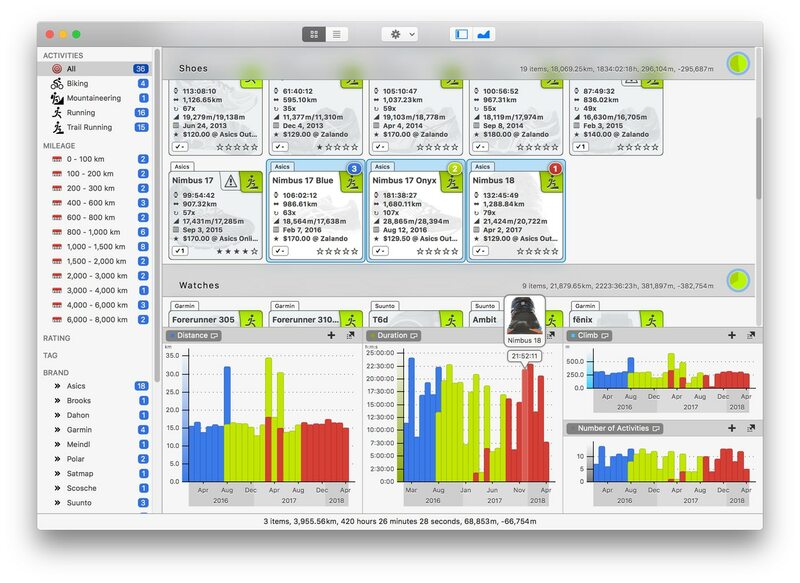 Use the Apple Watch or rt2go for iPhone to record new activities, analyze your data on the go and automatically sync with rubiTrack 5 Pro. 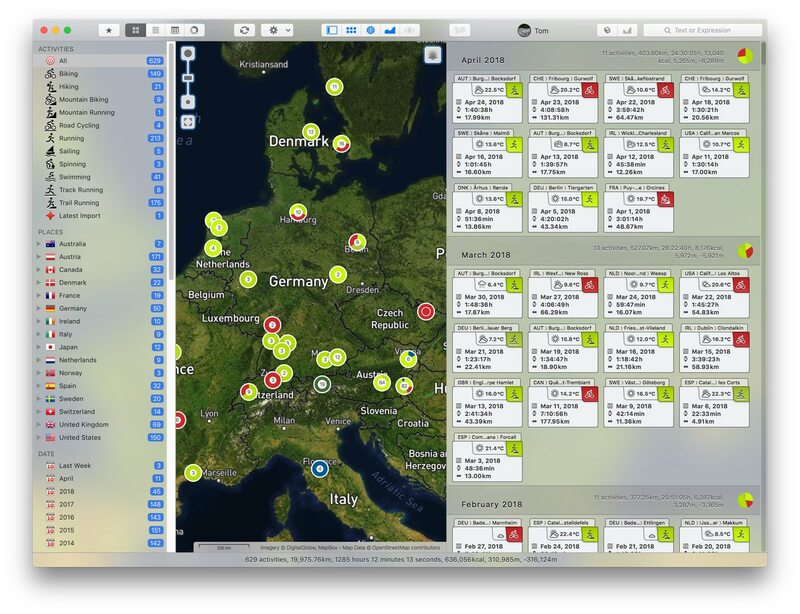 Drop-dead gorgeous user interface meets sophisticated analysis = best tool for the sports enthusiast! Copyright © 2008-2018 Shiftoption software, Markus Spoettl. All rights reserved. rubiTrack™ and the rubiTrack logo are trademarks or registered trademarks of Markus Spoettl. All other trademarks and registered trademarks are property of their respective owners.